Professor of Ethnic Studies Vivian Chin poses with supportive students after testifying to the Mills College Board of Trustees on June 22, 2017. This fall, Mills students return to a campus that was gutted by the hastily announced Financial Stabilization Plan, a decision which resulted in the sudden firing of tenured professors and various staff members. This past May, students were informed that Mills declared a state of financial emergency. Despite overwhelming student protest and a thoughtful alternative economic plan that was proposed by faculty, five tenured professors (Vivian Chin, Wah Cheng, David Keeports, Marc Joseph, Stephen Ratcliffe) were fired in late June. In the wake of the Financial Stabilization Plan (FSP), many of us are left without academic advisers and dedicated mentors, and we are grappling with a new understanding of our college’s seeming transition from a liberal arts institution to a neoliberal institution: an institution which blatantly disregards academic tenure and disrespects individuals who have dedicated years of their lives to growing a thriving college community, an institution which markets itself as a social justice haven yet gives slim consideration to workers’ rights, the voices of students of color, and student input and faculty collaboration in its decision making. Increasingly, Mills seems to view social justice rhetoric as a commodity to be marketed rather than practiced. In this political climate, it is urgent for us to foster community on the basis of respect and trust. Both of those values were lost at Mills over the summer and many of us enter this academic year with wariness and distrust in the college’s administration. As students, we initially chose Mills in order to foster close relationships with our professors. We make financial sacrifices to be here and to be mentored by faculty who we have built relationships with over the semesters. Due to the small size of many departments, the loss of a professor within any major is a devastating loss to our daily academic life. The professors who were fired were experts in their fields and offer distinct perspectives and mentorships that can’t be easily replaced by new hires. Many of these new hires seem jolted by their new responsibilities and some have admitted in class that they are inheriting courses and syllabi with materials they haven’t yet read. In the absence of the fired faculty, we feel that Mills has pulled a bait-and-switch, and we agree with many students who have said they would transfer to other schools if they weren’t already close to completing their degrees. The FSP decision-making process took place when many students were off-campus over the summer, leaving us to rely on word-of-mouth and slim news coverage. In July, the San Francisco Chronicle published an article misleadingly titled “Mills College opts for layoffs over admitting male undergrads.” The Chronicle story lacked in-person interviews, nuanced understanding of the issues at hand and any desire to tell a truthful story. Instead, the Chronicle focused on salacious details and the tired tropes that surround the mainstream understanding of a “women’s college.” The article sensationalized the FSP process by focusing on the option of admitting men, which wasn’t actually considered as an alternative. The title of the article posed the FSP process as if the administration was choosing to fire faculty rather than admit men. This is a false narrative, which feeds into the trope of women’s colleges as a community of thoughtless “feminazis” who would rather sacrifice tenure then allow men on campus. Most of the world doesn’t quite understand or know what to make of Mills, which is a challenge that we face in attracting and retaining students. 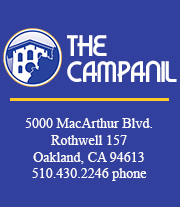 In these times of neoliberalism, it is the mission and purpose of The Campanil to be the voice of our community. A school that has trouble recognizing and expressing its own worth, especially to the point that it’s causing a decline in enrollment and a subsequent financial crisis, which has led to some misguided and ethically tenuous measures, needs a strong voice for its community. The voice of our college can’t be replaced by emails from the president’s office or the Public Relations department, no matter how desperate we might be to increase enrollment and revenue. The aspect of Mills that has won students’ hearts since its inception is the bonds that are grown within the community, and the community of any school is primarily composed of students and faculty. Cuts to longstanding faculty members, with only a feigned consideration or understanding of the impact it has on the fabric of our community, is evidence of how the college’s administration are out of touch with the community they claim to be fostering and representing. There is either an utter lack of understanding that the cuts under the FSP and their aftershocks make Mills less appealing and sustainable, not more so, or the administration is trying to undermine the core values of the school and drive it into the ground. Due to Mills’ small size, word-of-mouth is a critical source of recruitment for us, and in the wake of the FSP, the school’s reputation will take a massive blow. Our community has been rocked to its core and a huge number of students have been impacted. The FSP is extremely damaging not only to our own Mills experience, but to the school’s reputation. Perhaps one of the most lasting effects of the FSP is that it will deter a whole new generation of Mills recruits before they even start.